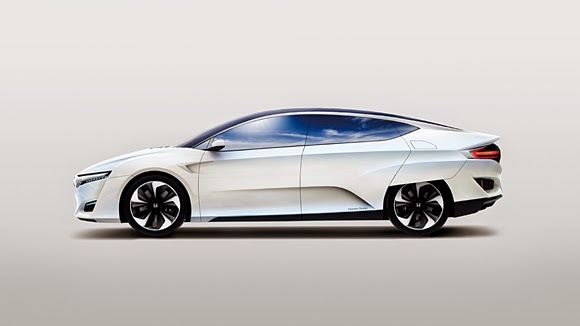 They’re calling the vehicle the Honda FCV, and it will be a hydrogen fuel-cell car that converts hydrogen gas to usable fuel that juices up fuel-cell stacks that ultimately run the vehicle. The best part about these kinds of cars? They emit only water vapor. There are other boons to owning this particular automobile, however, such as a tremendous 300-mile range that won’t require drivers to stop and fuel up anywhere near as often as they would have to in a zero-emissions EV. Hydrogen also offers a quicker re-fuel than a battery pack, as well; at a hydrogen charging station, a driver can get juiced up and back on the road in only 3-5 minutes. Even better, Honda is making an extension that will allow consumers to use the vehicle as a portable generator to power a home in case of a power outage. The car will release first in Japan sometime in 2016, with your friendly neighborhood U.S. Honda dealership following shortly afterward. By then, the country should have exponentially more hydrogen fueling stations, and we can all start enjoying the benefits to owning one of the cleanest vehicles Honda has ever produced. We honestly can’t wait for this car to become a reality!